In the past few weeks, I’ve had the chance to really road test everything that I brought back from my trip. 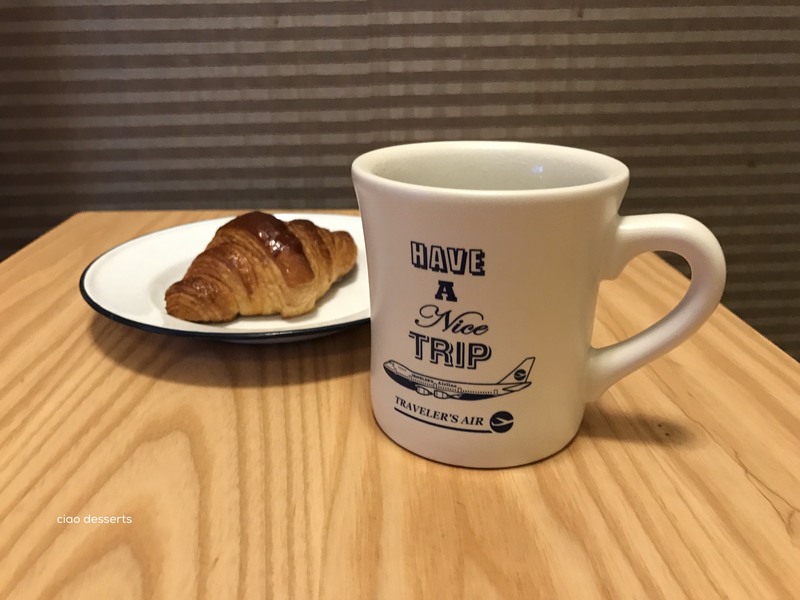 For this post, I chose five of my favorite products: 1) a hairdryer by Panasonic, 2) Hand mixer by Muji, 3) Kanebo’s Suisai Beauty Clear Powder, 4) Coffee mugs by the Traveler’s Factory and Blue Bottle Coffee, and lastly, 5) assorted clothing items by Journal Standard. I Towards the end of the post, I’ll answer the question probably burning on everyone’s mind (ha! )… how did I get it all home? I’m not going to lie… I kind of had my heart set on the über cool Dyson hair dryer. But, my hair stylist recommended one by Panasonic. Since hair dryers lie directly in his area of expertise, I took his advice. And boy, am I glad that I did! For half the price of the Dyson, I am now in possession one of the best hair dryers I’ve ever used. 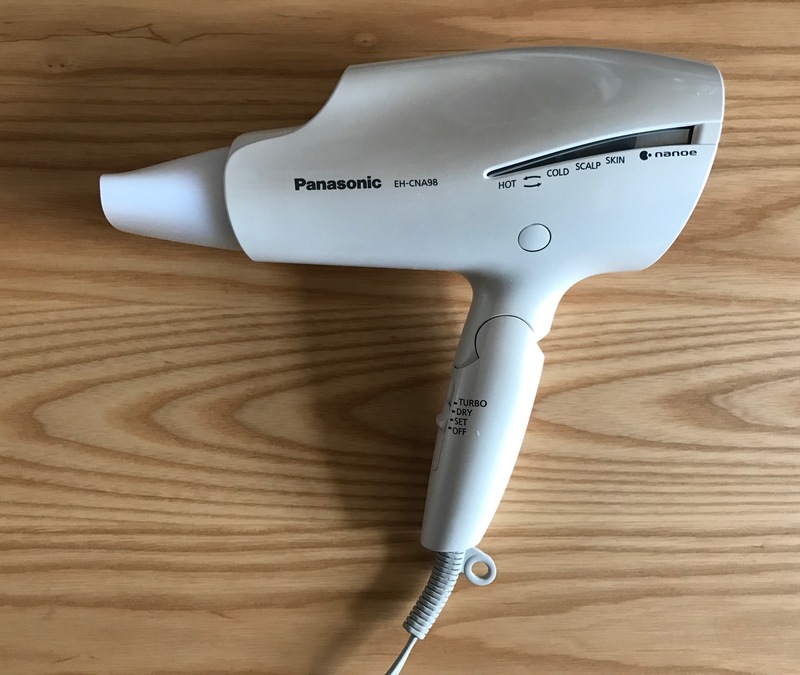 The model I bought is the Panasonic EH-CNA98, which has Nanoe technology (you can read more about Nanoe here) This hair dryer promises increased volume and shine, and I was more than happy to become a believer. 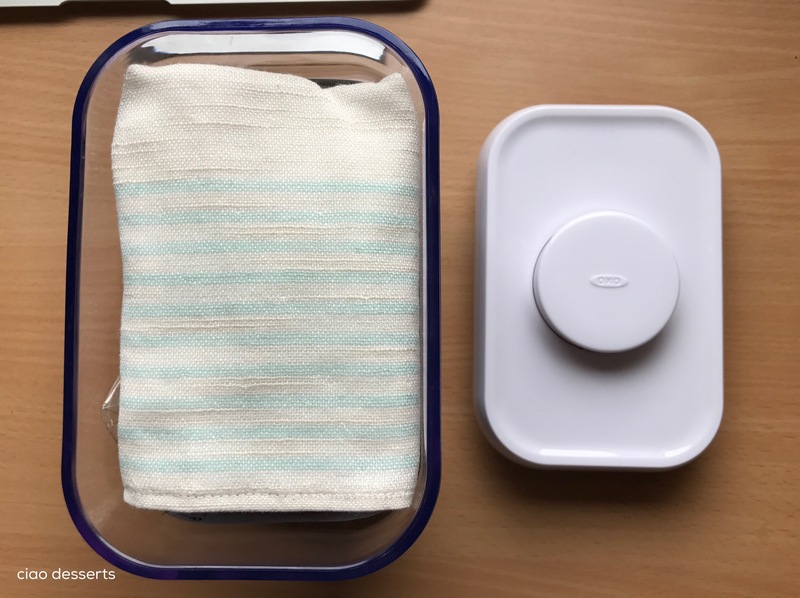 There are several settings on this new model, including different three different speed settings (lowest to highest- set, dry and Turbo) a several temperature settings, including hot-cold, scalp skin and nanoe. For some reason, I couldn’t quite wrap my brain around the “skin” option, which is the coolest temperature setting. Why do you need to blow dry your skin?! One day, when I was drying my bangs (or fringe) it finally hit me. Duh. Use this setting to dry your bangs, and you don’t have to worry about burning your forehead. (I admit, I also use it to dry off clay masks, such as my new favorites, from Dr Jart, if I’m really in a hurry). I use this dryer every single day, and I can’t recommend it enough. My hair is more voluminous and shiny than before, and I could swear, it works faster than my old hair dryer. It is a bit heavier than I expected, but I can hold it for about 10-15 minutes without my arm getting tired. This hairdryer also folds up neatly, and the cord can be wrapped around the nozzle. You can easily fit this into a drawer in your vanity, or bathroom cupboard. I hang mine from a 3M hook on my bathroom wall, using this grey loop that’s attached near the handle and power cord. A note on the shopping experience for this hairdryer. I bought mine at Labi, in Shinjuku. Labi is seven floors, and they sell all kinds of electronics, including beauty-related appliances. Unfortunately, our shopping experience was hindered by the pushiest sales associate I’ve ever met. She followed us the entire time, recommending products that we didn’t need or want, and was actually not helpful, because she couldn’t describe the features of the products that we did want. Tips that I have for shopping for electronics in Japan is, it always helps to do your research beforehand. Make sure you have a photo of the model that you want saved in your phone (in case you don’t have wifi in the store, and can’t access a photo online). Also, ask the salesperson to take the item out, and plug it in to make sure that it works before leaving the store. That way, you won’t be unpleasantly surprised in in case the product doesn’t work, after you’ve schlepped it all the way home in your suitcase. I’m a bit surprised, but this mixer has gotten so much use. I think part of the reason is that it’s small and compact enough to keep in an everyday, easily accessible drawer, so it’s not a lot of work to take it out. I use it at least weekly for my baking projects. For more details, you can read my review here. By the way, I’ll be sharing more baking projects soon, so please stay tuned for additional updates about this mixer. 3) Suisai Beauty Clear Powder, by Kanebo. I read about this cleanser here, and made a note to pick them up while we were in Tokyo. I liked the idea of a gentle, foaming exfoliating powder, that was individually packaged. Most of the exfoliators I have come in tubes, and they usually dry out before I can finish (or get tired) of them. I was actually not prepared for how small these would be! Each container of product is only about 1 centimeter. However, their size makes them quite handy to take on trips. Each little pod contains about half a teaspoon of white powder~ shake out onto your palm, and then fill the little container halfway with water, and mix with the powder. 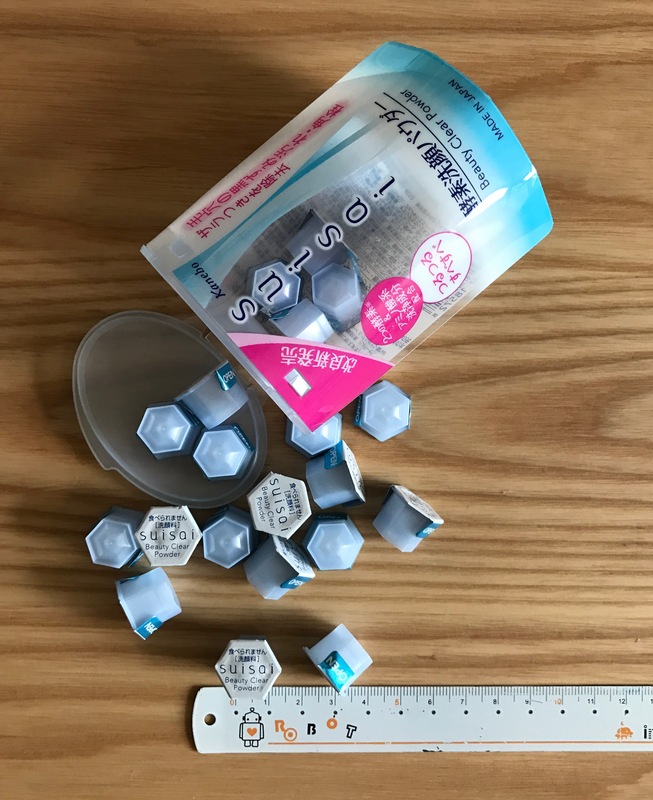 These little pods pack quite a lot of punch for their size~ I use these about once or twice a week, concentrating on my forehead and nose. I imagine these would be extremely useful in the hot and humid summer days which will be upon us soon (groan). Unwittingly, I’ve started collecting mugs of assorted shapes and sizes from places that I’ve visited. (This is probably why none of the mugs at my house match) I love having daily reminders of my travels, and each and every mug definitely gets a lot of use. Plus, they are often great conversational starters for when guests come over. The latest two I’ve added to my collection is one from Blue Bottle Coffee, which is the perfect shape and size for a matcha latte (the instant kind! The size stops you from pouring in too much water :D). The second is one from the Traveler’s Factory. I love the thick, chunky shape, which is smooth to the touch, and retains heat well. I was quite prepared to not buy clothes in Japan. I’m probably a foot taller than the average Japanese women, so I imagined that it would be hard for me to find the right fit and size. My guess was about 85% right, and I didn’t bother buying clothes, until I happened upon Journal Standard on the very last day of my trip. I vaguely remember my friend Peter recommending this brand to me a long time ago, but I didn’t have time to go in during my first trip here. Admittedly, I was drawn in by the buy 2, get 10% off sign, and I decided to go in and see if I could find anything I like. I’m so happy that I did, because I think I discovered my store. You know, that store where you could picture yourself wearing about 80% of the merchandise. 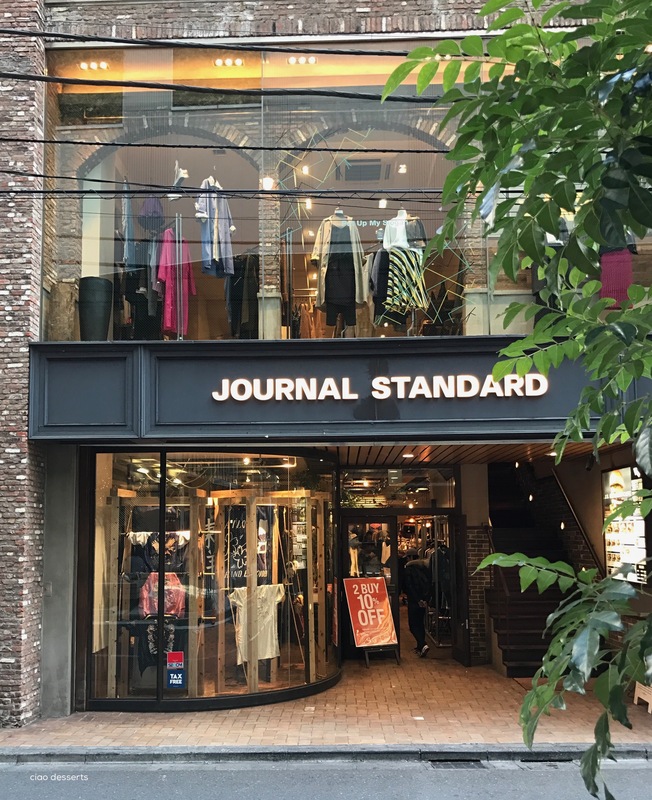 The clothes at Journal Standard are classic, but with a twist, made with high quality fabrics, and have lovely silhouettes. Plus, most importantly, the shopping experience here is wonderful. The sales assistants leave you alone to shop, but then are friendly when helping you find a different size or color. They also helped me fill out all the tax free forms, and automatically deducted the amount from the total. I bought quite a few clothing items here, and I wore each item constantly through the cold days we have been fortunate to have here in Taipei. They were worth every penny, because I feel happy every time that I put them on. (I also found out that they also now have a store in Taipei. The prices are comparable to the ones in Japan, and sometimes fluctuate depending on the currency rates. I’ll be enthusiastically waiting for their summer clothes!). Are you curious about how I got all my shopping home? And most important of all, did I make my luggage allowance? My secret is, I love, love, love packing. If unrestrained, I will probably pack my friends’ suitcases for them before we flew home. I took a group of students on an overseas trip once, and I actually had to sit on my hands to stop myself from “helping” them pack on the last night. Is there such thing as a professional suitcase packer? If so, please let me know because I would love to have that job! My number one tip is, maximize use of space. 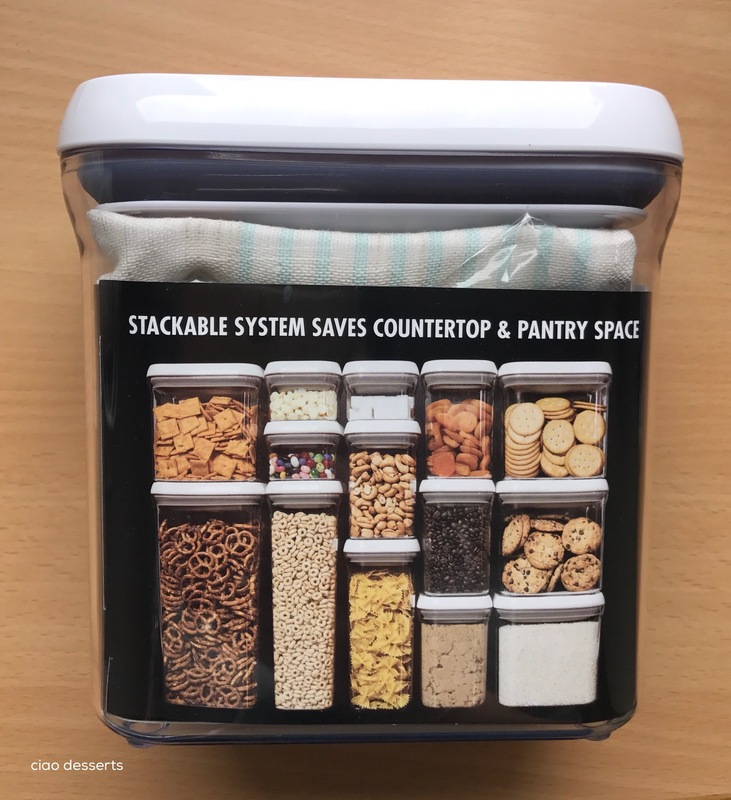 For example, I bought two Oxo pop-up storage containers at Tokyu Hands (which are exorbitantly expensive in Taiwan, but comparable to U.S. pricing in Tokyo, plus I received a bit of tax back). I used them to corral all the loose, fragile, or potentially messy items. For example, in one of the containers, I packed my coffee mug from Blue Bottle. I also packed two tubs of Japanese butter (which I’ve always wanted to try but are SO expensive in Taiwan… but are a normal price for butter in Japan). I kept them cool in my hotel fridge and packed them at the last minute and hoped for the best. My rationale was, if they melted and leaked, at least they would be contained inside a leakproof container. 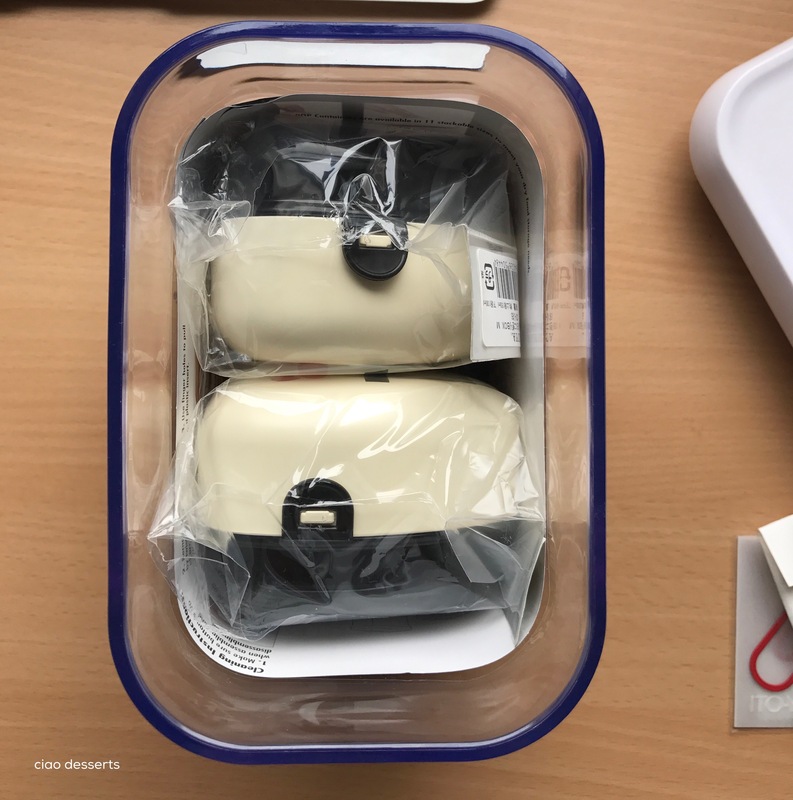 Other potentially fragile items included my onigiri lunch boxes (I didn’t buy two for myself! I bought one back for my friend Peggy) I lined the bottom of the container with a dishcloth, which served as some cushioning. I also tucked in some other small items, such as earrings and stationery items, so they wouldn’t get lost in the shuffle. If you’re wondering, what is my obsession with these cloths? I found the best ones in Japan. They are “tengui” towels, and are cotton gauze on one side, and terry cloth on the other. They are lightweight, sturdy and dry quickly. They are pricier in Taiwan, yet quite reasonably priced in Japan (probably because they are a normal, everyday household item) with tons of pretty colors and patterns to choose from. Then pop on the lid, and the entire box is ready to go inside the suitcase. My second tip is to bring an extra, soft, squashy bag. The last two trips, I’ve used this bag from Le-Sportsac, for luggage overflow. I find that having this extra bag is particularly useful for dirty laundry. I can’t stand mixing in worn clothes, with unworn ones in my suitcase when I’m traveling, so I find that I just toss in all my dirty laundry in my extra bag. I don’t usually even bother repacking it, and I just check it in with my suitcase. When I go home, that is the first bag I immediately open. I start a load of laundry and then feel extremely virtuous and efficient. (While the rest of the packing waits until I get over my post-vacation blues). For future trips, I’m thinking of upgrading to this foldable tote by Muji, which can be hooked onto your suitcase handle, and looks a lot neater and streamlined. My last tip is, if there is a luggage weighing machine avaible in your hotel lobby, make sure to use it. It’s always better to find out early if your luggage is overweight and make adjustments before you get to the airport. One useful discovery that I made was that there is a small post office right across the street from Sunroute Plaza, the hotel that I stayed in. So if you are really over your luggage limit, it might be worth it for you to send some of the stuff home by regular post. I imagine it is much more economical than paying for overweight luggage, or courier services at the airport. Just barely! With a bit of room to spare. I also managed to also squish in my winter boots into my suitcase- one packing tip I never agree with is to wear your heaviest shoes on the plane. Such a pain to take on and off when you are going through security! I’m a little sad to say that this post concludes my coverage of my trip to Tokyo. Thank you so much for following along these past few weeks. I hope you’ve enjoyed reading these posts as much as I enjoyed writing them! It’s very likely that Japan will be an annual holiday destination, so please let me know if you have any suggestions for my future trips. 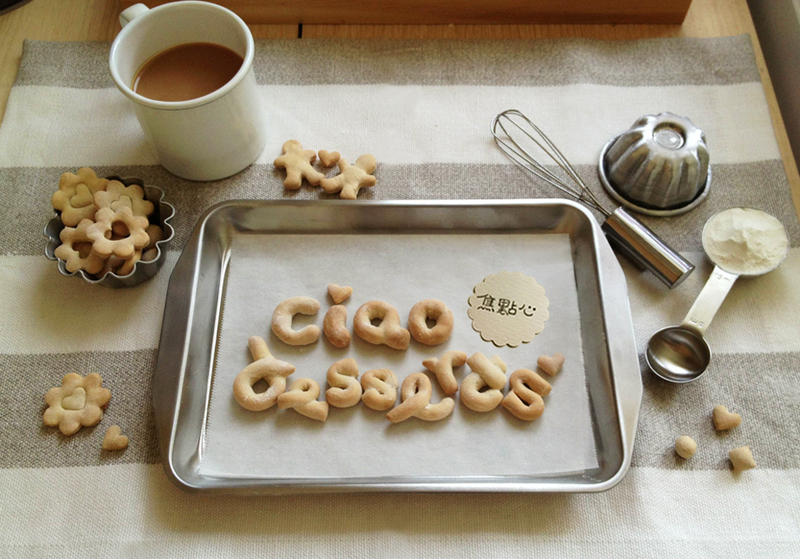 In the next few weeks, I’ll be posting more about baking and meal planning, so please come back soon. As always, you can also follow me over at Instagram, to see more of what I’m up to. Note: This was not a sponsored post. I paid for all items with my own money. Experiences and opinions expressed are my own. 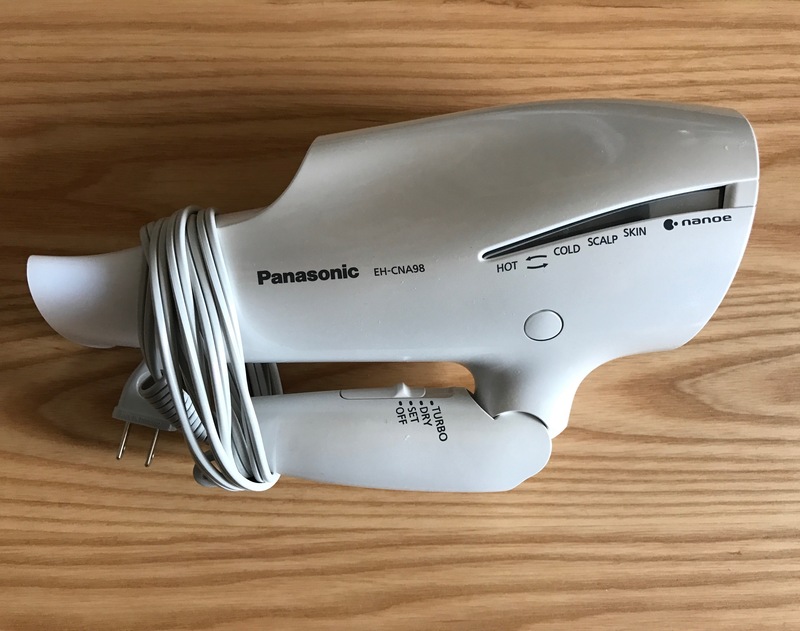 This entry was posted in Uncategorized and tagged Appliances, Beauty Appliances, Beauty Products, Journal Standard, Kanebo, kitchen appliances, Mixer, Muji, Panasonic, Panasonic Hairdryer, Suisai. Bookmark the permalink. Can’t wait till I go with you guys to Tokyo next time! Really enjoyed all your posts! Thanks for reading Carol! Yes, I can’t wait until we go back next time! !